Chevrolet Traverse sales increased in the United States and in Canada in December 2017. In the United States, Chevrolet Traverse deliveries totaled 12,313 units in December 2017, an increase of about 19 percent compared to 10,381 units sold in December 2016. The results represent the model's best-ever cumulative December sales performance. During the complete 2017 calendar year, Traverse sales increased about 6 percent to 123,506 units. In Canada, Chevrolet Traverse deliveries totaled 453 units in December 2017, an increase of about 83 percent compared to 248 units sold in December 2016. The results represent the model's best cumulative December sales performance since at least December 2014. During the complete 2017 calendar year, Traverse sales increased about 5 percent to 4,710 units. Chevy Traverse sales performance slightly outpaced the segment in December, putting it in fourth place in its segment, behind the Ford Explorer (see Ford Explorer sales), Toyota Highlander and Honda Pilot. To note, the Explorer and Highlander nearly outsold the Traverse two-fold during the month. Though the figures show the Hyundai Santa Fe outselling the Traverse in December, it is vital to note that the Santa Fe’s sales figures are somewhat misleading given that the “regular” Santa Fe three-row full-size model (which competes directly with the Traverse) and the Santa Fe Sport two-row midsize model are included in the total Santa Fe line item. The Traverse cleanly outsold the Volkswagen Atlas (see VW Atlas sales), Nissan Pathfinder, Dodge Durango (see Dodge Durango sales) and Mazda CX-9. Going forward, we expect Traverse sales to continue steady or to increase, depending on the current model’s performance in the marketplace, sales operation at the retail level, as well as the competitive landscape, which is highly crowded and will become even more so with the introduction of new entrants, such as the Subaru Ascent three-row crossover. The mainstream full-size crossover segment grew 17 percent in December and 10 percent during the complete 2017 calendar year. 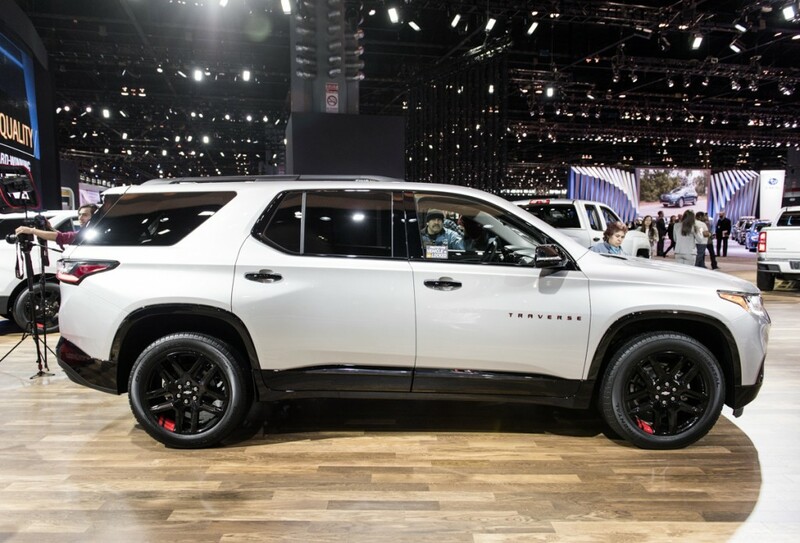 The current model was introduced for the 2018 model year and represents the second generation of the Traverse nameplate. It rides on the extended-length GM C1 platform shared with the second-generation Buick Enclave. A shorter variant of the same platform underpins the second-gen GMC Acadia and Cadillac XT5. Compared to its first-generation predecessor, the second-gen Traverse is an all-new vehicle that is larger, lighter, sleeker and more modern. It also introduces new trim levels, including High Country and RS – neither of which were present on the first-generation model. The Chevrolet Traverse is built at the GM Delta Lansing Township factory in Michigan operated by GM USA. It is currently the only plant that builds the vehicle alongside the second-gen Buick Enclave. Previous story Chevrolet Colorado Z71 Duramax: Better Than Petrol? Great. Hope this sales improve. I would love to see it eclipse at least the Explorer.